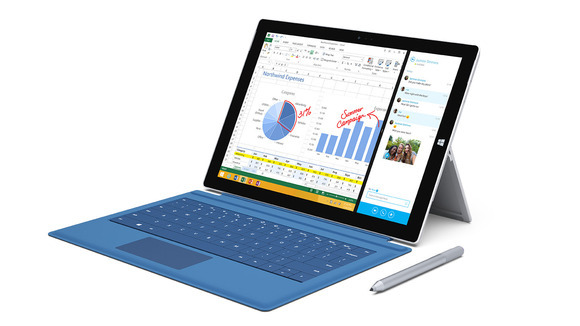 Its only a couple of days until we get to lay our eyes on the Microsoft Surface Pro 4. Redmond’s tablet-notebook hybrid has seen an increasing amount of popularity over the last year or so, given its focus on both mobility and productivity at the same time. The Surface Pro 3 lineup are an impressive array of gadgets, which come in all variations of performance which the daily or enterprise user could demand. Powered by Intel’s processors and adequate storage plus RAM, the gadgets offer a good substitute for notebooks. Well, the Surface Pro 4 is expected to build further on the successes of the Surface Pro 3, and today we’ve managed to uncover some details about its price. Even though tablet sales have been on the decline, that hasn’t stopped manufacturers from launching new devices in order to tap into previously unexplored market segments. One example is the iPad Pro, that was launched by Apple last month. The iPad Pro is Cupertino’s first large screen tablet offering, which is expected to cater more towards the needs of the enterprise segment, given its extensive hardware and software focus towards that niche. But now all the hype is around the Surface Pro 4, and how Microsoft will be upgrading its notebook lineup this year. The Surface Pro lineup hasn’t seen an upgrade in quite a while, due to several reasons. Two of these are Intel’s delays on Skylake and Microsoft’s mixed plans on Windows 10. While originally Windows 10 was expected to be launched this October, alongside the Surface Pro, Microsoft chose to expedite the launch to July. Coming towards the price of the Surface Pro 4, we’ve started to hear some whispers from the ever churning rumor mill. According to some sources, the lowest variant of the device will be costing you around £600, which converts to $910. The lowest variant of the Surface Pro 4 should be expected to feature a screen size of 12 inches, be powered by Intel’s Core-i3, come with 4GB of RAM and 64 or 128GB of storage on board, given on how generous Microsoft’s feeling. When compared to the iPad Pro, the base version of Apple’s tablet costs around $1000, if you choose to purchase the Apple pencil and smart keyboard alongside the device. So both the devices are in close range after all, and looks like Apple and Microsoft have opened another front to battle it out. Things should become very clear once the Surface Pro 4 is launched by Microsoft, on October 6th, and given today’s information, we’re curious as to what price tags the high powered variants of the device will be coming with. Stay tuned and let us know what you think in the comments section below.